The Board of Network Waitaki Ltd would like to announce that following the retirement of Graham Clark after 42 years’ service to the company Mr Geoff Douch has been appointed as the new CEO of Network Waitaki starting on the first of April 2019. Geoff is currently the General Manager Asset Management at Counties Power, based in Pukekohe, and has been responsible for the engineering, asset management, design, programme delivery, customer projects and control room activities of Counties Power. Prior to joining Counties Power in 2015 Geoff was at Wellington Electricity for six years where he held the positions of Asset Planning Manager and later General Manager Network and Operations. Earlier roles in the industry include engineering and commercial roles at Unison, and operational and project management roles at Vector. 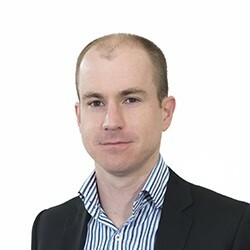 Geoff is a degree qualified engineer, holds a Graduate Diploma in Business, and has attended the Advanced Management Programme at the Melbourne School of Business (Mt Eliza). He is an Executive Committee member of the Electricity Engineers Association and is a Member of the Institute of Engineering and Technology. Geoff and his wife Maria will be moving to Oamaru in late March and will commence work at Network Waitaki on 1 April 2019. Outside of work Geoff has a keen interest in motorsport both track racing and Rallysport. The Board looks forward to welcoming Geoff to Network Waitaki and working with him.